Bill was also the first Field Organiser, a position he held for some 20 years until 1970. Bill was Field Organiser on ten of the eleven searches during this period, in which 25 people were found alive. 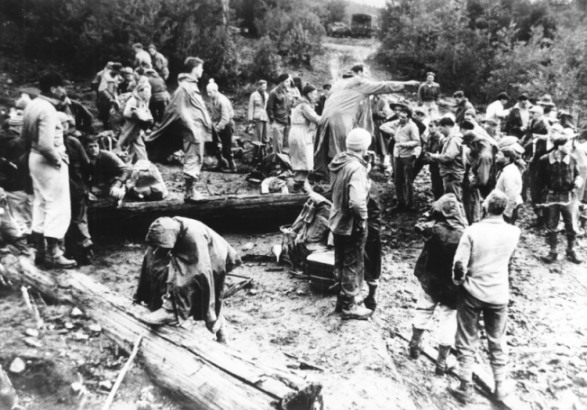 In the early 1950s, prior to the formation of the Police Search and Rescue Squad, the Field Organiser virtually ran the search, in consultation with the Police representative, usually an Inspector. After stepping down from the Field Organiser role Bill then served as a Police Liaison Officer from 1971 to the mid-1980s. Bill gave 35 years of dedicated service to the Federation’s Search and Rescue Section. Bill joined Melbourne University Mountaineering Club (MUMC) in 1947 and has been awarded life membership of the club. Bushwalking Victoria gave Bill a Distinguished Service Award (Individual) in recognition of his contribution to the enhancement and development of recreational bushwalking in Victoria, furthering the objectives of Bushwalking Victoria and adding value to the wider Victorian community. For almost 40 years he has vigorously promoted bushwalking, bushwalking leadership and skills training, safety and search and rescue. Bill helped establish the Bushwalking and Mountaincraft Leadership course and his involvement included director of training courses and chairman of the Bushwalking and Mountaincraft Training Advisory Board 1969 – 1982. Bill also made a significant contribution to the Federation (now known as Bushwalking Victoria) including terms as president and vice president in the 1950s and 60s. He was also involved with the Duke of Edinburgh Award Scheme, Outward Bound and the Victorian Education Department’s school camps branch. 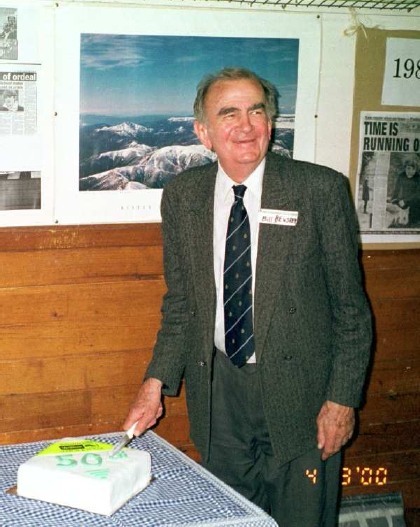 Bill did the first ascent of Federation Peak by Victorians in 1950 (the 3rd ascent overall), and was Officer-in-Charge of Mawson Station in 1955. 2 A Short History of the B.M.T.A.B.